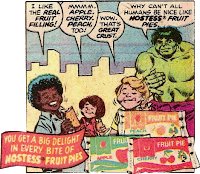 Recently the hostess ad Hulk vs. The Roller Disco Devils was featured here and I noticed something odd, so I went to investigate. 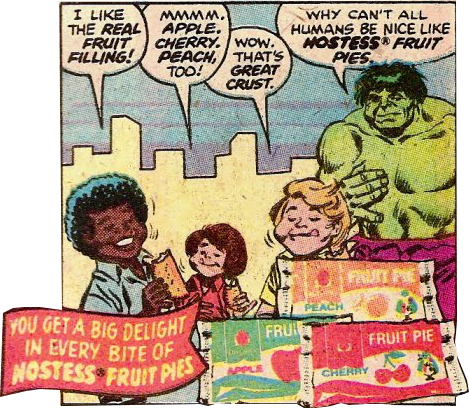 The Hulk looks like he is supposed to be holding something there in his hand in the last panel… it was obviously meant to be a fruit pie. Everyone who eats in these ads only uses their thumb and first three fingers, allowing thir pinkie to dangle freely. Check out the Hulk's hand it looks like he has an invisible fruit pie in it! Also when people eat their cheek bulges out like they have a chaw of tobacco in there... 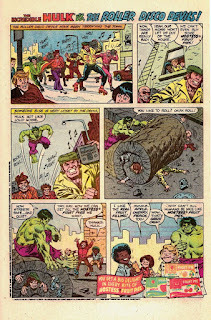 Lo and behold the Hulk's cheek is all bulged out, too. If he isn't eating a fruit pie, why draw him like he is? Seems like he really was originally drawn eating that pie, but there was some rule that said while the super-heroes could be used to endorse the products they couldn't actually be shown consuming them... o.O Yeah, I don't get it either... anyway someone hastily erased the pie out of Hulks hand and figured no one would notice... Check out the picture below, I cut and pasted a pie into his hand and it fits perfectly! Here is the updated Transcience Order Form. It is in MS Excel 2010 format and will add your totals and calculate shipping automatically. There are some line items that are hidden on the form, mainly because they aren’t listed on the offical web site for Transcience Corporation, however, some of these items are available or [...] This post was recreated from the Internet Archive and ends here. Here we have a unique oddity from the late 1970's, a comic ad from the Intermark Shoe Company for their AAU brand of sneakers. 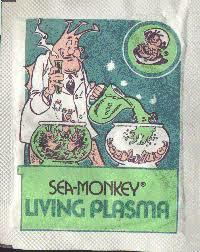 This ad had me mesmerized as a child and seemed to be everywhere. 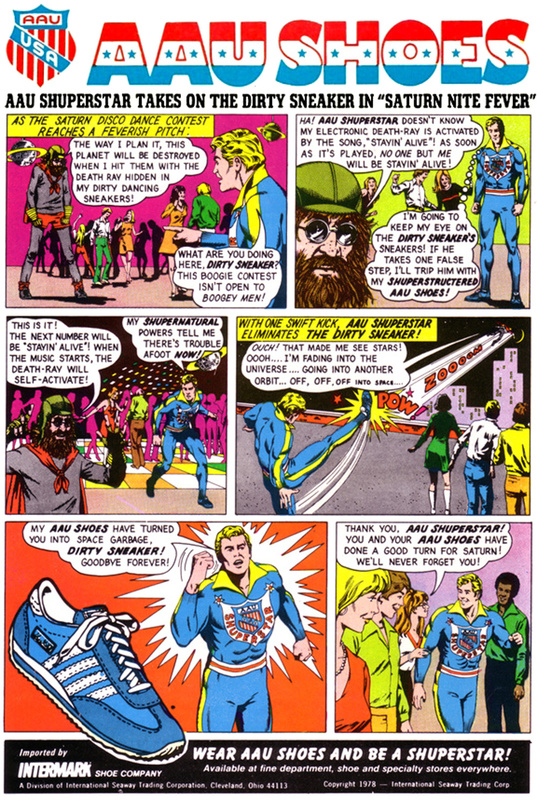 In fact it only appeared on the back covers of DC comics dated November 1978 and features AAU's hero-spokesmodel, the AAU Shuperstar, battling... well... pretty much just a scroungy looking hippie known as The Dirty Sneaker. See, back in the late 70′s a unique superhero appeared on the back covers of comic books... the AAU Shuperstar, a pun-spouting “shoe”-perhero (get it? ), all decked out in a garish blue tracksuit and armed with a good solid kick, he defended the world from vile footwear-related villains. 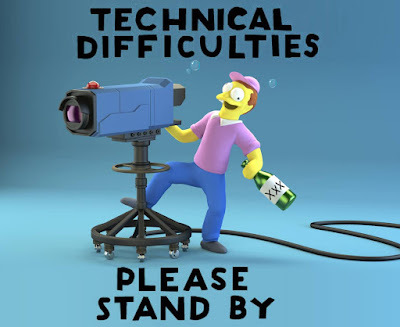 Please be patient my blog provider Blog.com is experiencing problems again today. If you get any errors please try reloading the page. 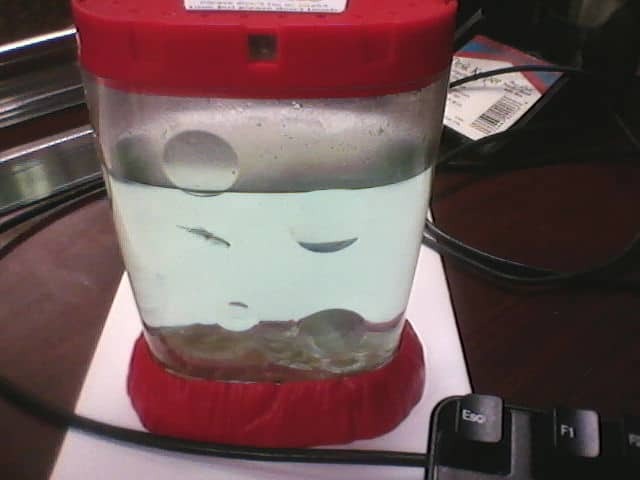 A visitor asked me recently how to make a larger tank for her Sea-Monkeys. It’s certainly possible. Although I have never done it, I have thought about it in the past. Transcience used to carry a product called Jumbo Plasma, each packet would make about 1 quart of water and you would add one packet number one to it to make a quart tank of sea-monkeys. They no longer carry this product and the last time I ordered from them Ms. Yolanda informed me that to go big you would have to use enough water purifier packets to make the size tank you want. One water purifier will make 12 to 16 oz. of water. 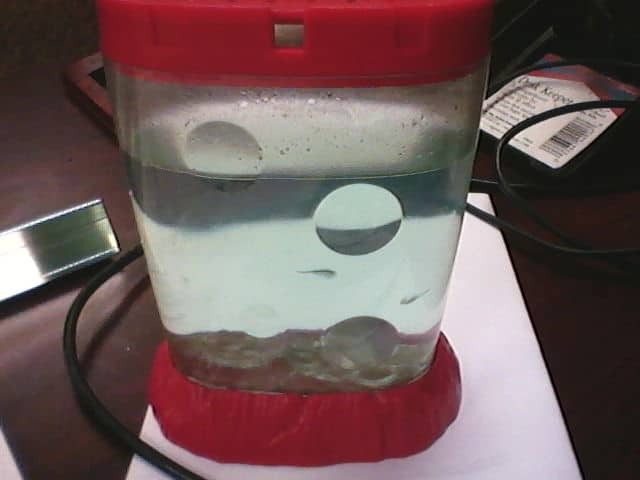 a 1 gallon beta tank = 128 oz. Ah another classic comic ad. 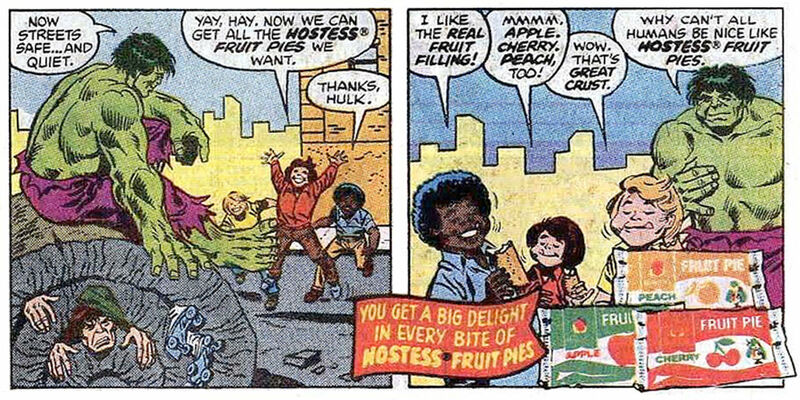 Back in the day, Hostess® bakery, makers of Cupcakes, Twinkies, and Fruit Pies, decided to reach the kiddies through comic book ads. 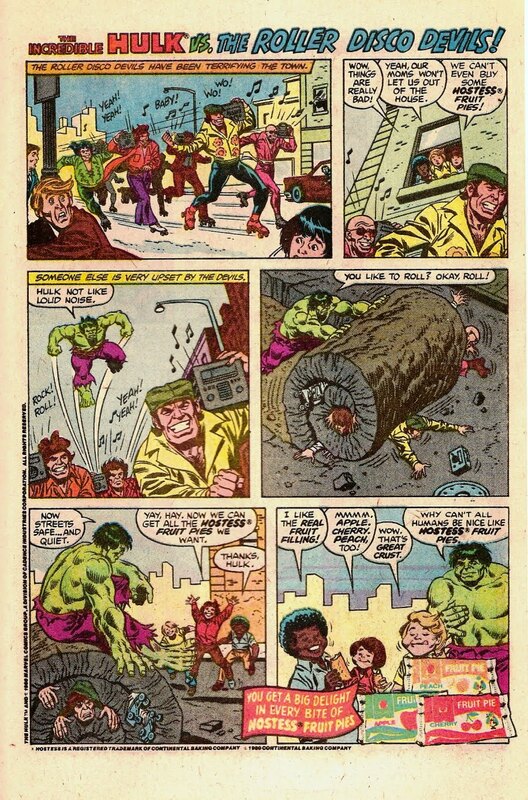 The ads ingeniously used all the popular superheroes of the day in full page spreads in the hopes that it would lure the little rag-a-muffins into reading them. 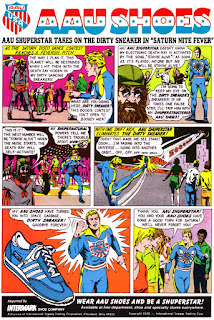 The villains usually had to be one-shot villains with incredibly lame themes: ergo the Roller Disco Devils. 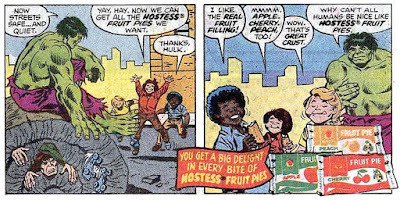 These z-grade super-villains were mostly defeated by distracting them with the glorious taste of delicious Hostess confections. However this wasn't always the case, there were exceptions... such as this, rather extreme, exception.